With a PVC dotted palm for excellent grip, and fantastic tear resistance, the Supertouch 2727 Kevlar PVC Dot Gloves are ideal if your work involves handling sharp glass or metal. They are especially suitable for slaughterhouses, glass handling and car manufacturing. 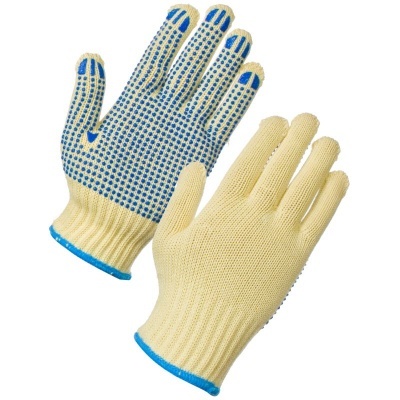 The 2727 Kevlar PVC Dot Gloves are designated Category II gloves, which makes them suitable for most medium risk tasks. These 7 gauge Kevlar PVC Dot Gloves are also available in a 10 gauge version. The higher the gauge, the more dexterity and less protection the gloves offer. The lower gauge gloves, such as these 2727 Kevlar PVC Dot Gloves, offer less dexterity but more protection. 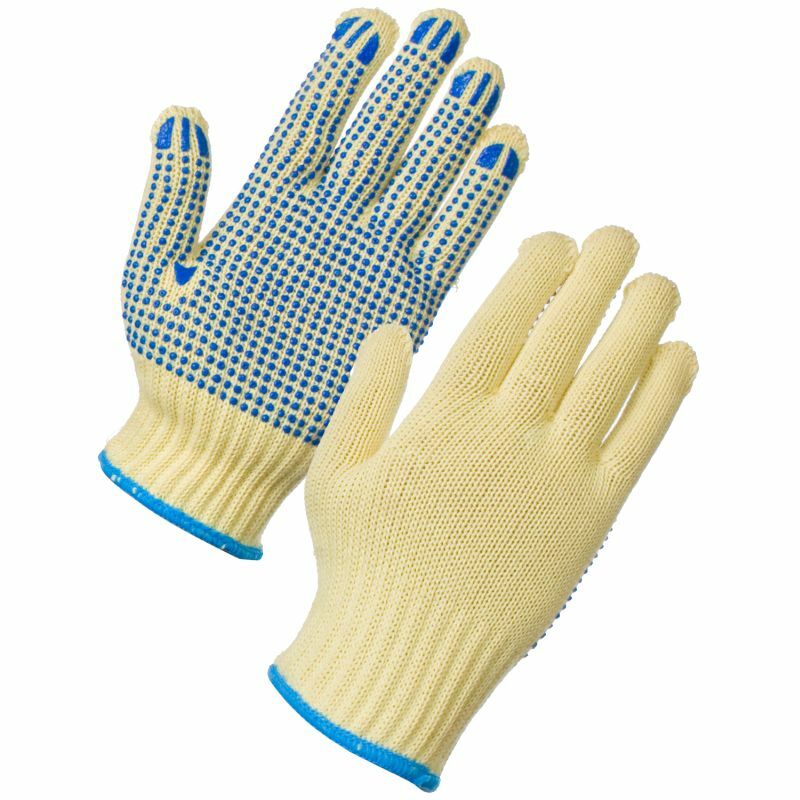 The 2727 Kevlar PVC Dot Gloves are available in five sizes that should be suitable for most people. Please measure the circumference of your hand around the knuckles (excluding the thumb) with your hand open and your fingers together, and the length of your hand from the tip of your middle finger to your wrist.